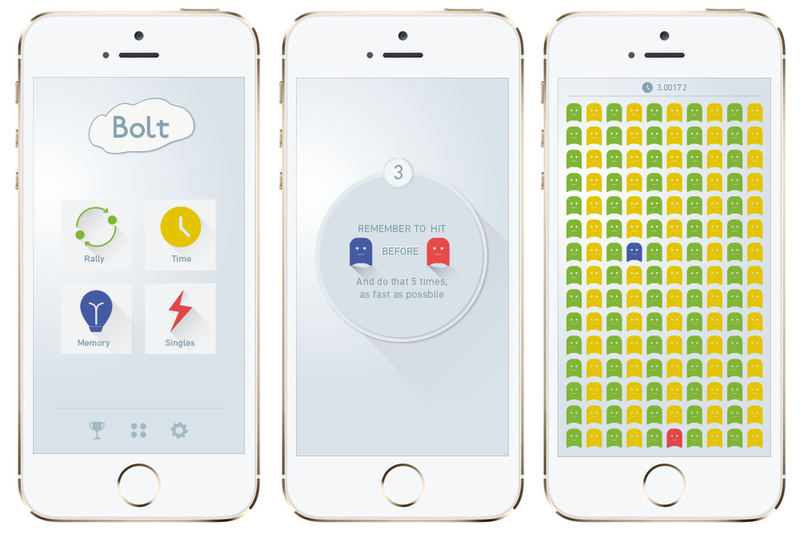 Bolt is a simple game aimed at increasing the mind-eye coordination of the player. The current version of the game has a single level where in the player is required to tap five sets of coloured dots. Each game will have a preset colour combination which randomises for each game. 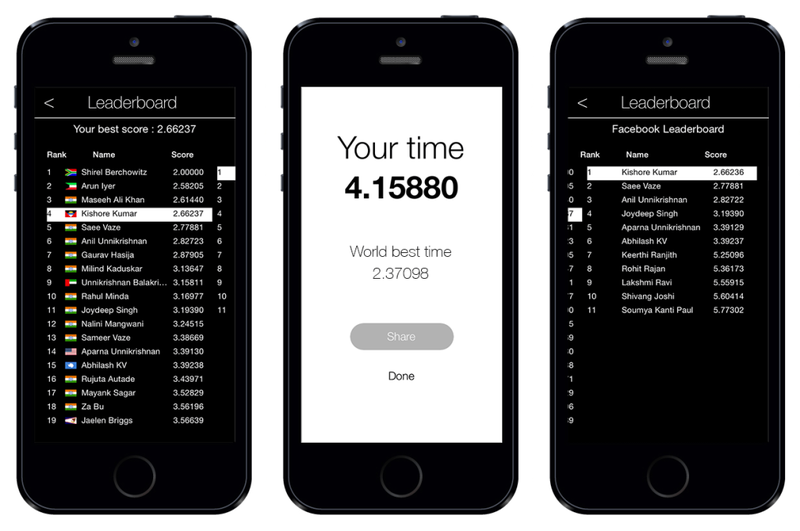 The time taken to finish these sets of five are tallied and your best time becomes a part of the leaderboard. 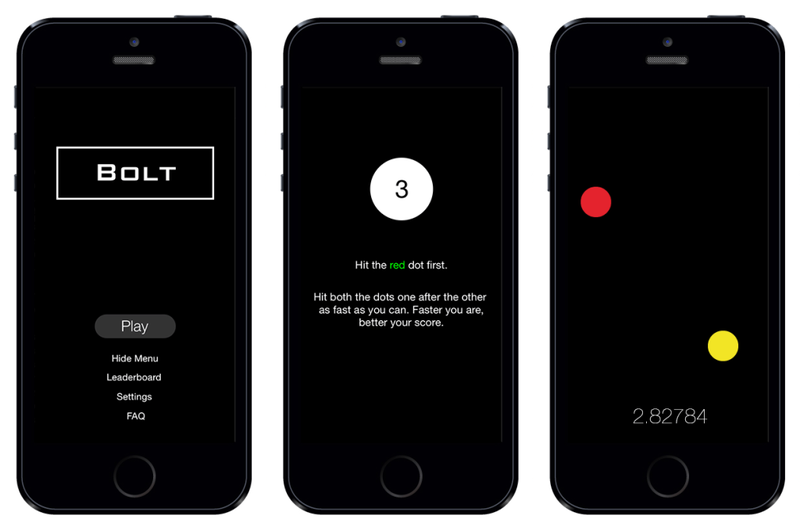 The leaderboard consists of all the players playing the game and also your Facebook friends.Bolt was an idea my friend, Kishore Kumar and I came up with. The current version is only available on iOS. The entire game has been developed using SpriteKit and is compatible with iOS7 and above. The backend is written using Parse.